Sunday Update: Fox's Gone Girl was able to successfully hold off four major newcomers this weekend to remain in first place with an estimated $26.8 million. The critically acclaimed David Fincher directed film starring Ben Affleck held up extremely well this weekend, as it was down just 29 percent from last weekend's already stronger than expected start. Gone Girl is benefiting from strong word of mouth, strong critical reviews and from skewing heavily towards older moviegoers. The film also received an added boost this weekend from expanding into an additional 270 locations. Gone Girl has grossed an impressive $78.28 million through ten days. The film is currently running 70 percent ahead of the $46.02 million ten-day take of 2010's The Social Network and 82 percent ahead of the $43.01 million ten-day gross of 2012's Argo. Dracula Untold was the weekend's top new release with an estimated second place start of $23.46 million. Universal's action horror film starring Luke Evans exceeded pre-release expectations and represented a rebound for action horror after the poor performance of I, Frankenstein back in January. The opening weekend performance of Dracula Untold was much more in line with the $25.31 million start of 2012's Underworld Awakening. Coming on the heels of last weekend's stronger than expected performance of Annabelle; audiences are clearly in the mood for horror themed fair at the moment. Universal will hope to ride that wave again later in the month when it releases Ouija on October 24. Dracula Untold opened with $8.9 million on Friday (which included an estimated $1.3 million from late night shows on Thursday), fell a slim 2 percent on Saturday to gross $8.7 million and is estimated to decline 33 percent on Sunday to gross $5.86 million. That places the film's estimated opening weekend to Friday ratio at 2.64 to 1. The film received a very solid A- rating on CinemaScore. While it had to settle for third place this weekend, Alexander and the Terrible, Horrible, No Good, Very Bad Day was off to a very solid start of its own with an estimated $19.1 million. The family film from Disney starring Steve Carell and Jennifer Garner opened in line with expectations. Alexander opened 14 percent below the $22.13 million debut of 2010's Diary of a Wimpy Kid, but going forward could very well display stronger holding power in comparison to Wimpy Kid. Alexander started out with $5.23 million on Friday, increased a healthy 52 percent on Saturday to take in $7.94 million and is estimated to decline 25 percent on Sunday to gross $5.92 million. That gives the film an estimated opening weekend to Friday ratio of 3.65 to 1. Like Dracula Untold, Alexander also received an encouraging A- rating on CinemaScore. The audience breakdown for the film skewed towards female moviegoers (54 percent) and towards moviegoers 25 years and under (57 percent). Family audiences made up 67 percent of the film's overall audience. Fellow new release The Judge debuted in fifth place with an estimated $13.33 million. The Robert Downey Jr. led drama opened towards the lower end of expectations. Despite the drawing power of Downey, potential for The Judge was ultimately limited in part by lackluster critical reviews and in part by the break-out performance of Gone Girl with older moviegoers. On the bright side, The Judge did open 37 percent ahead of the $9.72 million launch of 2009's The Soloist and the film's A- rating on CinemaScore suggests that the film is going over significantly better with moviegoers than it is with critics. The Judge opened with $4.43 million on Friday, increased 22 percent on Saturday to gross $5.39 million and is estimated to decline 35 percent on Sunday to gross $3.51 million. That places the film's estimated opening weekend to Friday ratio at a solid 3.01 to 1. The audience breakdown for The Judge skewed towards female moviegoers (55 percent) and heavily towards moviegoers over the age of 25 (85 percent). Fellow Warner Bros. release Annabelle claimed fourth place with an estimated $16.37 million. On the heels of last weekend's stronger than expected start, the low-budget spin-off to The Conjuring was down 56 percent from last weekend. While that was a sizable second weekend decline, it was also still a respectable decline given the film's genre, its strong start and the stronger than anticipated performance of Dracula Untold. Annabelle has grossed an impressive $62.16 million in ten days. That places the film a slim 3 percent ahead of the $60.16 million ten-day start of last year's Insidious Chapter 2 (which fell 66 percent in its second weekend to gross $13.80 million). In its third weekend of release, Sony's The Equalizer placed in sixth with an estimated $9.73 million. The Denzel Washington led action thriller fell 48 percent from last weekend, as the film continues to be somewhat front-loaded thus far. With that said, The Equalizer is still performing in line with its lofty expectations with a 17-day take of $79.89 million and is still very likely to surpass the $100 million domestic milestone before the end of its run. Addicted opened in seventh place with an estimated $7.6 million. The low-budget thriller from Lionsgate and Codeblack Films performed reasonably well, especially given that it was only playing in 846 locations this weekend. That gave Addicted a healthy per-location average of $8,983 for the frame. Addicted opened with $3.01 million on Friday, fell 5 percent on Saturday to gross $2.86 million and is estimated to decline 39 percent on Sunday to gross $1.74 million. That gives Addicted an estimated opening weekend to Friday ratio of 2.53 to 1. Lionsgate will expand the film into additional locations next weekend. In other box office news, Meet the Mormons grossed $2.44 million from just 317 locations on Friday and Saturday. That gave the documentary an impressive two-day per-location average of $7,633. It should be noted that distributor Purdie Distribution is not releasing an official three-day estimate for the film today. All net proceeds from the film will be given to the American Red Cross. Saturday Update: Universal reports that Dracula Untold won the Friday box office with an estimated $8.9 million. The first edition of their planned cinematic universe revolving around classic monsters and villains had been selling well in advance of release, blowing past many early expectations for the flick. By comparison, Dracula Untold's opening day alone amounted to more than I, Frankenstein's opening weekend ($8.6 million) earlier this year, as well as topping Hansel and Gretel: Witch Hunters' $6 million first day. Early word of mouth is fair enough at 62 percent on Flixster, while critics unfortunately haven't taken to the pic (26 percent Rotten Tomatoes). BoxOffice projects a strong $24.9 million opening frame. Fox reports that Gone Girl nabbed another estimated $8.15 million on Friday, off just 38 percent from opening day one week prior. The David Fincher-Ben Affleck thriller has earned $59.6 million through eight days of release. BoxOffice projects a $26 million sophomore frame in first place. WB/New Line's Annabelle slid 66 percent from last Friday to $5.24 million yesterday, bringing its eight-day total up to $51 million. 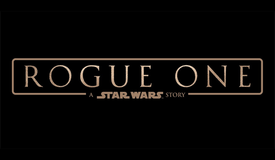 BoxOffice projects the film will take in $15 million for its second weekend. Disney's Alexander and the Terrible, Horrible, No Good, Very Bad Day brought in an estimated $5.23 million on opening day yesterday. The Steve Carell-led adaptation bested the opening days of Muppets Most Wanted ($4.7 million) and Blended ($4.4 million). Family fare has been somewhat lacking in the post-summer market, giving Alexander a great opportunity to capitalize. The early Flixster score is a respectable 75 percent, while critics have given it a fresh rating at 64 percent. 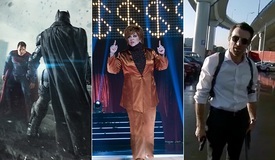 BoxOffice projects an $18 million opening weekend. The Judge posted $4.42 million on opening day, topping This Is Where I Leave You's recent $3.9 million first day bow, as well as The Ides of March's $3.4 million Friday three Octobers ago. The film's CinemaScore was an encouraging "A-", and with a 75 percent Flixster score, legs could still be in the film's future thanks to strong adult appeal and Robert Downey, Jr.'s increased star power in recent years. 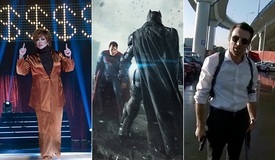 BoxOffice projects $13.2 million for opening weekend. Meanwhile, Addicted took in $3.0 million on Friday from 846 locations. The pic's Flixster audience score stands at 73 percent this morning, while critics have given it a 20 percent score. 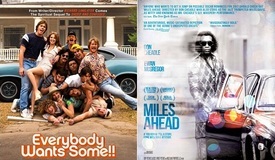 BoxOffice projects $7.5 million this weekend. Opening in platform release this weekend, The Weinstein Company's St. Vincent bagged $30,920 from 4 locations on Friday for a $7,730 per-theater average. 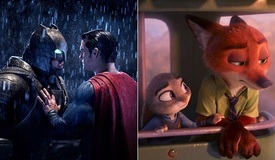 BoxOffice projects a weekend close to $100,000. Check BoxOffice on Sunday morning for official weekend estimates from the studios. 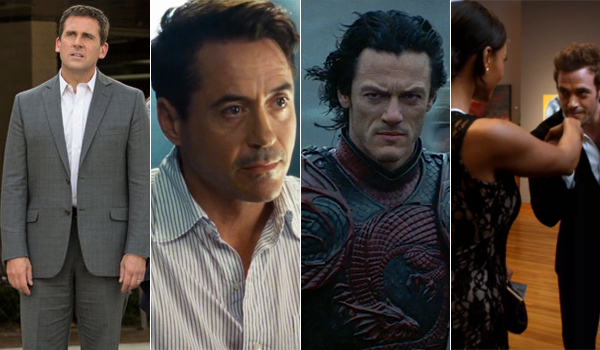 Friday Update: Sources report that Gone Girl and newcomer Dracula Untold are in a tight race for first on Friday. Trending for about $7 million each today, that would give Gone Girl a likely second weekend victory with close to $23 million. The Friday figure for Dracula could land the pic about $19 million. Meanwhile, Alexander and the Terrible, Horrible, No Good, Very Bad Day is eyeing a $6 million Friday and $20 million+ weekend. The Judge is pulling modest business so far. A reported $4 million Friday would send it to approximately $15 million for the weekend. It looks to be in a close race with holdover Annabelle, eyeing $5 million today and $16 million for the weekend. Addicted may take in around $3 million today for an $8 million frame. Thursday Night Report: Sources report that Dracula Untold bagged an estimated $1.3 million from 2,133 locations on Thursday night. By comparison, that more than doubles the $500,000 earned by Hansel and Gretel: Witch Hunters back in January 2013. That film went on to earn $19.7 million over opening weekend. If Dracula Untold can hold up well outside the early bird genre fans who turned out last night, a weekend in the mid-to-high teen millions looks very likely at this point.